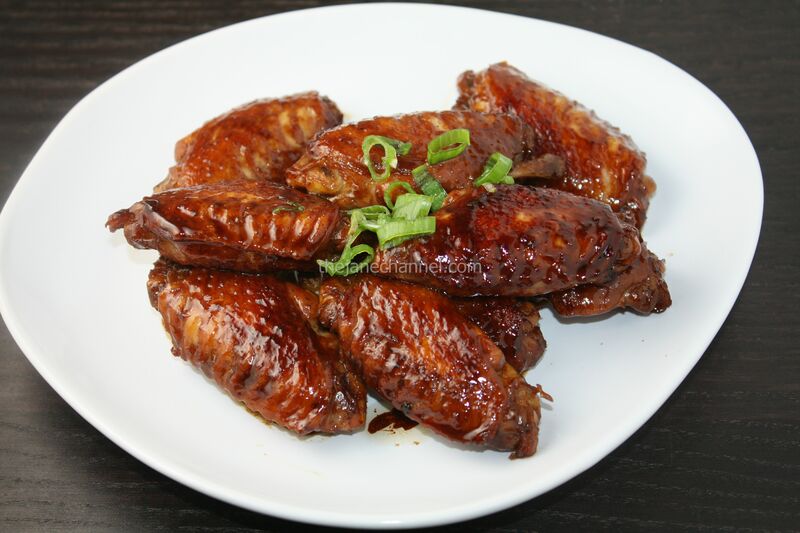 Soy sauce chicken wings is one of the most typical dishes that is served in a Chinese home, and is a favorite of kids in particular. Goes excellent with a steamy bowl of white rice. Heat wok over high heat and pour in 1 tablespoon oil. Add ginger and cook until fragrant. Add chicken wings and cook until light brown. Add soy sauce and dark soy sauce, cook over medium heat for 8 minutes. Flip the chicken wings over to let the other side absorb the sauce. Cook for another 8 minutes. Add cooking wine and sugar. Mix well and cook for another 5 minute or until cooked through.